Hop DVD and Blu-ray release date was set for March 23, 2012. This animated movie is a modern take on the Ester Bunny. In Hop, young E.B. revolts against the expectation that he will take over his father's job as the Easter Bunny. He would rather be a drummer in a rock band, instead. 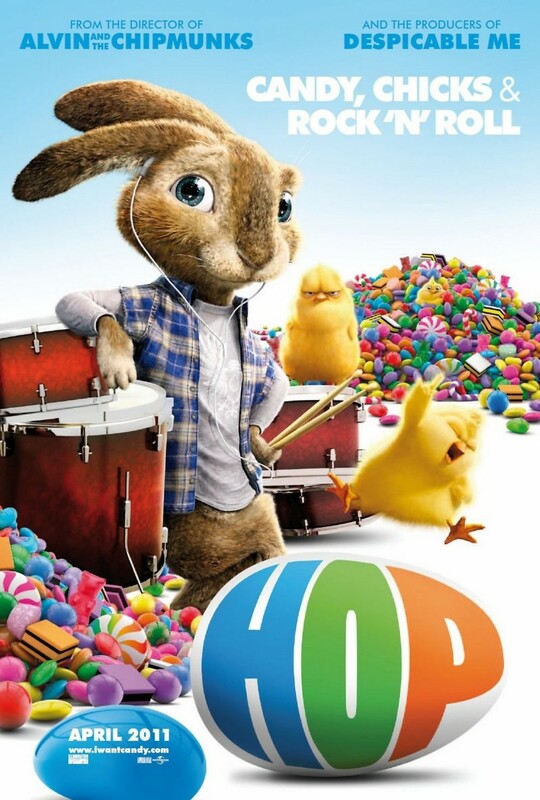 The movie also follows the lives of human Fred, who actually wishes to become the next Easter Bunny, while other animals have devised a terrible plot to upset the entire Easter organization as run by the rabbits. As Fred and E.B. cross paths, the two concoct a scheme that allows them both to live out their dreams of becoming the Easter Bunny and a drummer, respectively. However, E.B. can't avoid his father forever, and Fred can't keep hiding E.B. in his satchel, either.